Oulactis concinnata can be easily recognized on underwater photos: this species has conspicuous frond-like structures well visible between the tentacles. The species always is buried in sand, with the pedal disk always attached to buried stones so only the oral disk with the tentacles is visible on the surface. 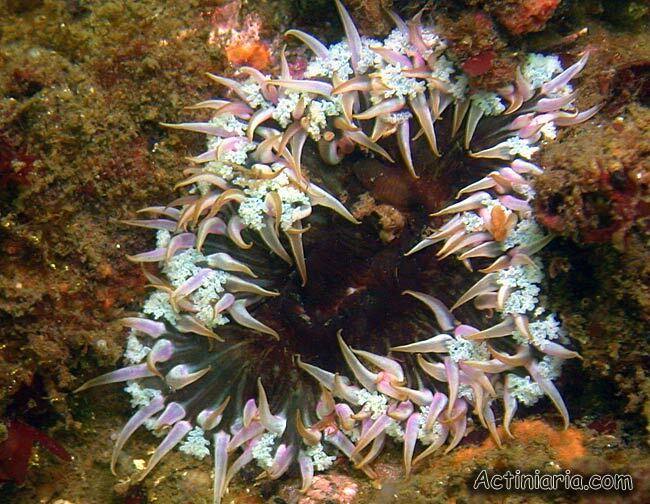 This species occurs along Pacific coasts of South America (Peru, Chile). Isoulactis chilensis (or Oulactis chilensis) is a synonym of this species.